You remind me of my Aunt Thelma. :) She died long ago, but she had reddish hair and probably never tried dying it green. I'm jealous that you dressed up. you kinda look like Susan Sarandon. 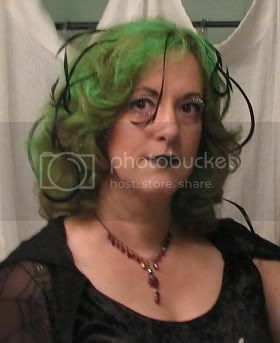 lol but with green hair!